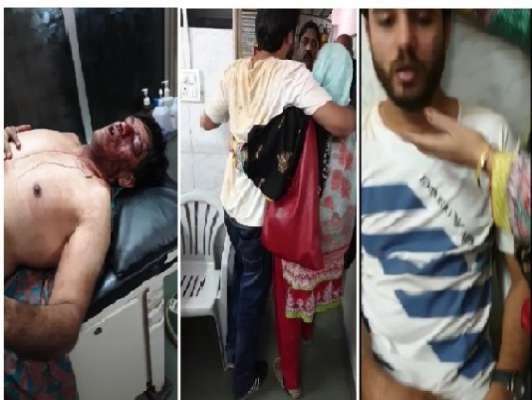 A mob of locals at Tiger Point in Lonavla physically assaulted a Muslim family from Baroda, molested girls and women over a petty dispute of camel ride payment. The incident took place around 6 pm when a horseman demanded more money than the fixed amount which he earlier agreed for the horse-riding of their children. When some of the family members objected the horseman started abusing them and suddenly many horsemen came around and attacked the family. Those injured are Aasim Memon (32), Sufiyan Memon (30) and Ahmed Memon (28). The police initially refused to register an FIR, but when the pressure was built up they wrote a complaint after five hours of the incident. The FIR lodged stated that gold valuables, cash and an expensive watch worth Rs 91,900 were stolen by the attackers. The police have arrested 6 persons for the same.